This is a compensated review by BlogHer and Electrolux. Thanks for following the link or coming in by tweet, glad to have you here! First off, you can design a virtual cake at Kelly’s Cakery to send to a friend that then triggers Electrolux to donate $1 to the Ovarian Cancer Research Fund! In addition, Electrolux is donating $100 to OCRF for every new range sold this month. Thats pretty serious! Here is an extra you get for playing with virtual cakes – a chance to win an Electrolux Induction Range! To get you in the cake mood, I thought I would share a cake I made for one of my kids a few years ago. See that cake at the top of this post? 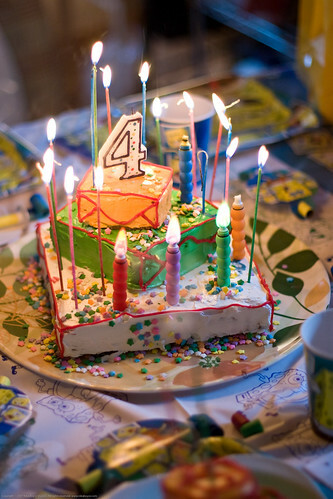 Thats the cake I made for my middle child who was turning 4 that year. Needless to say, it was a VERY well lit cake. I have made all sorts of cakes with varying success but I always include one ingredient that will make every cake a success: HUMOR. I will never be a cake master, I just wont! I make sure it tastes good and also amuses all assembled. My main objective was to do something different and also to make the birthday girl feel special. I made two cakes, a main one that is meant to look like a big pile of presents and then a smaller cake with smaller presents. 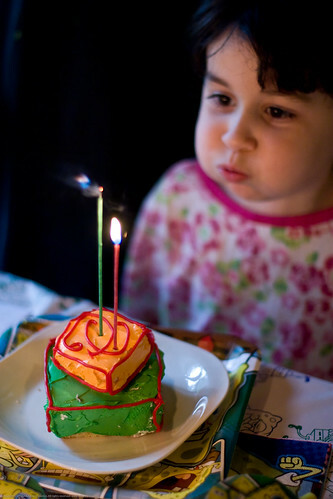 Both cakes were over festooned with way too many candles. The really tall ones were magically re-lighting ones so that 1) the birthday girl and other family members can blow out candles, over and over and 2) since she blows the candles out several times I have a chance to get the shot! The Birthday Girl got an extra little cake to blow out and not have to share. 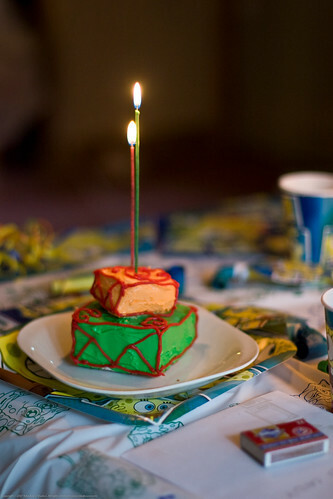 Again, this is the link you can design your own virtual cake to send to a friend, check it out! The only way to truly fight cancer is to stop eating the poisoned food that we eat!